A budget is a necessary evil, even for lazy people. If you are one of those individuals that would rather pay a late fee or use a credit card to buy gas and incur the extra dollar amount, there is good news. 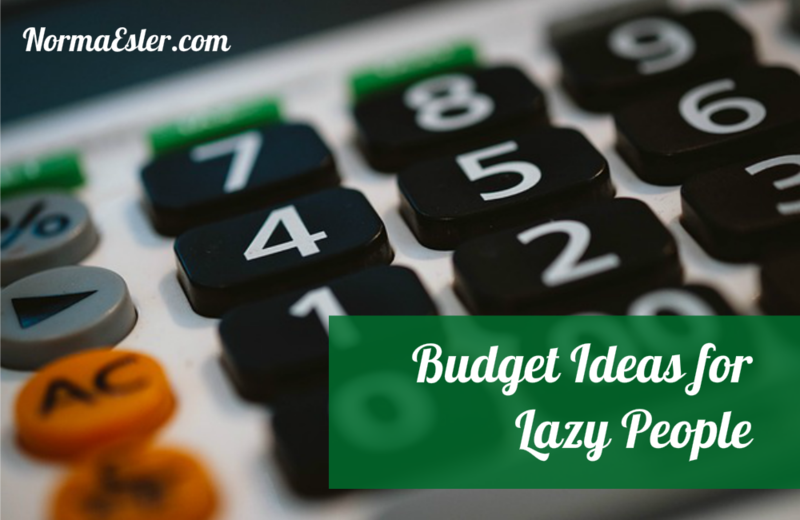 Lazy people can really have and stick to a budget and it does not have to be painful at all. If you consider yourself lazy, perhaps that is part of the problem when it comes to budgeting. Changing your perception of money and how you should or should not budget your finances may make all the difference between incurring debt and keeping it at bay. Try changing your perception of being lazy to one of being simple. Being simple has a much nicer connotation to it and can reap more success than walking around thinking or saying that you are lazy. A more positive connotation will reap a more positive reward. There are so many ways that your bills can get paid that there is no reason why you have to have too much of a hands-on approach when budgeting. Automatic bill pay is one way of getting your bills paid without having to so much as lift a finger. Just set up automatic bill pay with your lender, and every month your recurring charges and fees will be automatically deducted from your checking account. Now doesn’t that sound simple? Also, have your employer give you the paperwork for direct deposit. You will never have to go to the bank and cash your check. Your funds are directly deposited right into your checking account. The only thing you might have to do is withdraw cash once per week. What could be easier than simple arithmetic? Add up your income, subtract your bills and that is your spendable income for the month. Go to the ATM once per week, withdraw your money for food, gas, and whatever else is on your spendable income list and there you have it. Simple adding and subtracting at its finest. By taking out the dollar amount you spend in gas, you will be able to pay cash at the pump – avoiding any fees and surcharges on your debit card. Having the exact amount of spendable cash in your allotment for the week will also avoid late fees, overages, and charges for insufficient funds. No hassle; no fuss; no worry. Banking, bill paying, direct deposit, and ATM machines are all excellent ways to be lazy on a budget. You can even go to the supermarket, buy groceries, stamps, gift cards, medicines, and get cash back at the register. Today’s bill paying is an all-in-one convenience for those of us who are a bit on the lazy side of the budget fence. Sign me up for a daily dose of inspiration and special offers from Norma. Visit Norma Esler's profile on Pinterest.